thletes that acupuncture treatment helps them to reach optimum performance levels. Recently acupuncture detoxification treatments have been recognised as a valid form of therapy for chemical dependency problems such as drinking, drug and smoking. Throughout its long history, acupuncture has established a solid reputation as an excellent alternative for health care. According to my clinic experience, the following conditions can be treated by acupuncture most effectively. Pain Relief and Control. It is well proven that acupuncture can treat many types of pain conditions such as Arthritis, Cervical Spondylopathy, Knee Pain, Hand and Foot Pain, Sciatica, Shoulder Pain, Tennis Elbow, Lower Back and Neck Pain, Tendonitis, etc. More than half of my patients who suffered from different pains visited my office. Most of them have received satisfied treatment results. I have some patients who suffered injury due to car or sports accidents. They are also very pleased with acupuncture treatment. Headache & Migraines. Many of my patients have suffered from headache or migraine for many years. Before accepting acupuncture treatment, they have tried almost everything. However, none of these approaches really work. After having acupuncture treatment, they felt remarkable improvement of their condition. Quit Smoking. It usually takes three to five sessions of acupuncture treatment to have smokers to quit. Other Conditions. I have successfully treated other diseases and conditions such as Anxiety and Depression, Facial Paralysis, Insomnia, Neuralgia, Stroke Rehabilitation, TMJ, Whiplash, etc. According to my experience, six to eight needles are used during acupuncture treatment at most of times. If two or more symptoms or conditions are treated during one session, ten or more needles may be used. For instance, a patient has being suffered from both back pain and headache for a while. The patient can be treated for both in each session instead of treating only one symptom in one session. However, do not try to treat as many symptoms or conditions as possible. 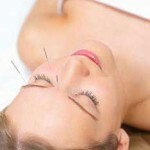 Some Acupuncturists insert as many as thirty or more needles in one treatment. This may mean that by using many needles the chances of inserting some of needles precisely at acupoints may be increased. In fact, this approach may set the treatment effect out of control and cause fatigue that hinders treatment, rather than beneficial relaxation. How long does each Acupuncture session take? 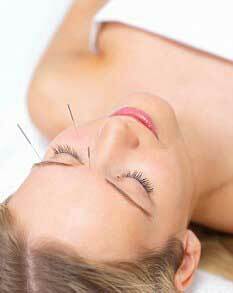 Normally, each acupuncture session takes 30 to 50 minutes. It depends on the sensitivity of each individual and the kind of diseases and conditions. 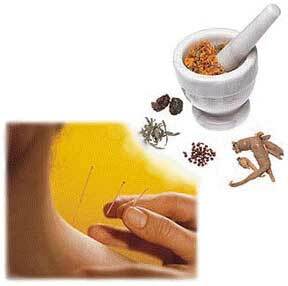 In general speaking, the quality of acupuncture treatment relies on the experience and skill of an Acupuncturist. They are combination of diagnosis of symptom, accuracy of acupoints, timing, the depth and angle of insertion, techniques of manipulation, etc.